Finding a meal for meatless Fridays during Lent can be challenging. We’re not fishing for compliments here, but we know how to make good fish and seafood dishes at La Mesa. We have several menu items that are faithful to both Lenten dietary restrictions and your tastebuds. No matter your preferences, we’ve got something for you! 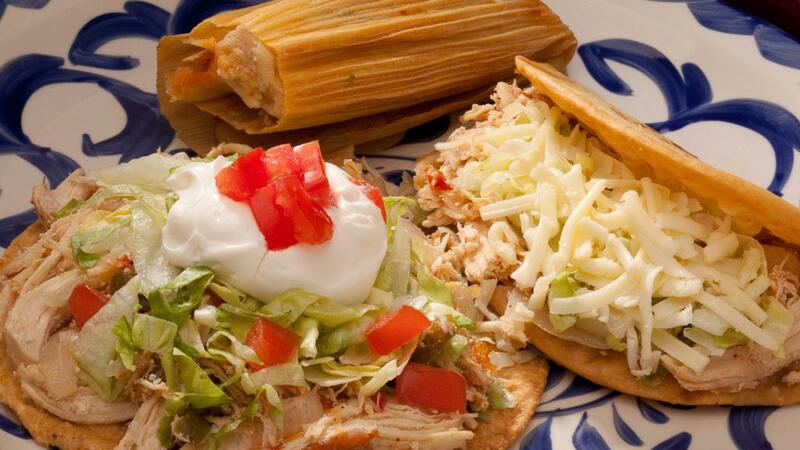 Here are a few Mexican dishes you can enjoy for Lent. If you enjoy white fish, then the Mango Fish is calling your name. 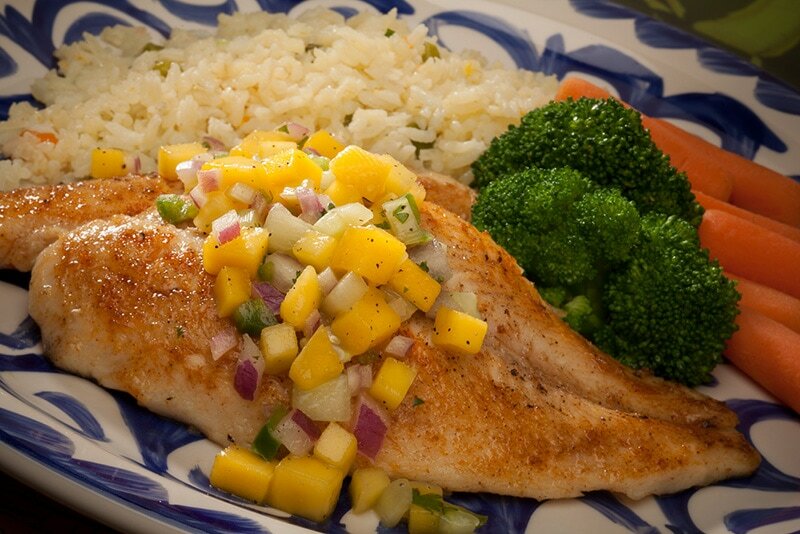 Perfectly grilled tilapia is finished with olive oil and served with a subtly sweet mango salsa. Choose from steamed vegetables or hearty potatoes for a side. This dish is healthy and perfectly in line with the traditional Lenten menu. The Burrito de Camaron is a great alternative to battered or baked white fish. 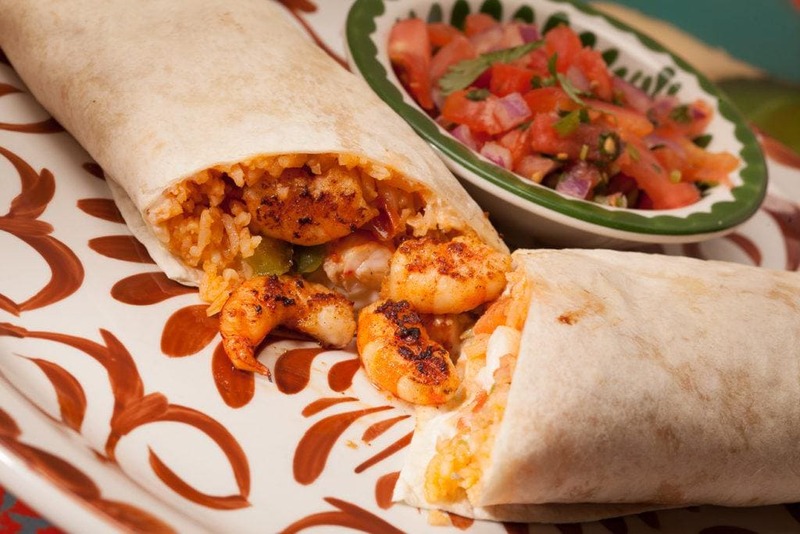 This dish combines the delicious, sweet flavor of shrimp with vegetables, flavorful rice, and pico de gallo. 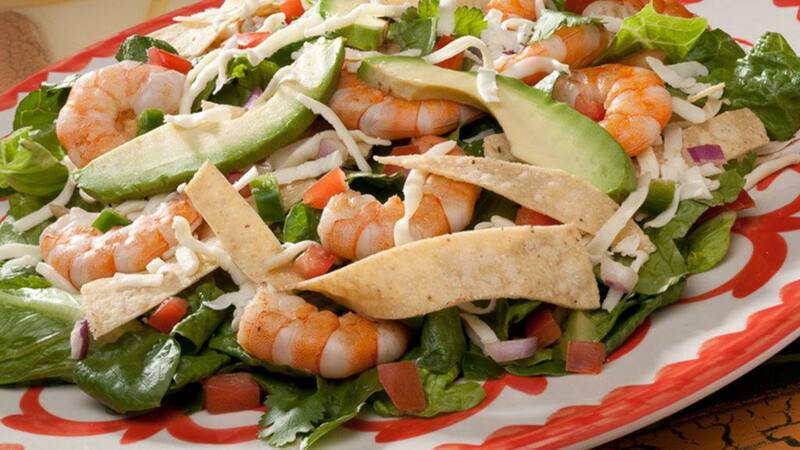 For more shrimp goodness, try the fresh, healthy Tostaditas de Ceviche as an appetizer! Our fajitas are just as delicious without the steak. Try our Fajita Vegetariana, made with zucchini, squash, bell peppers, and sweet onions. 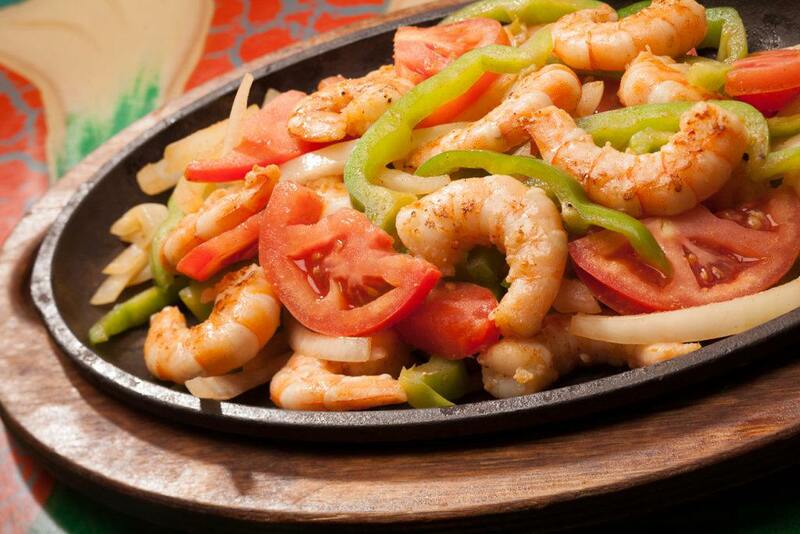 Or enjoy our Fajitas Cancun, made with delicious shrimp and sauteed veggies. Our salads are a delicious alternative when you aren’t feeling fish. Try our refreshing Fruit Salad on romaine with a zesty mango vinaigrette dressing. May we suggest our signature De La Mesa Salad with avocado and crunchy tortilla chips? Don’t forget to add shrimp! The bean is a protein staple in Mexican cuisine, and we have several items that will make you forget all about meat. Try our hearty Bean Burritos with a side of rice. Or try our tasty Bean Nachos, a meal all in themselves. Our Taqueria Corner menu has plenty of options for you. 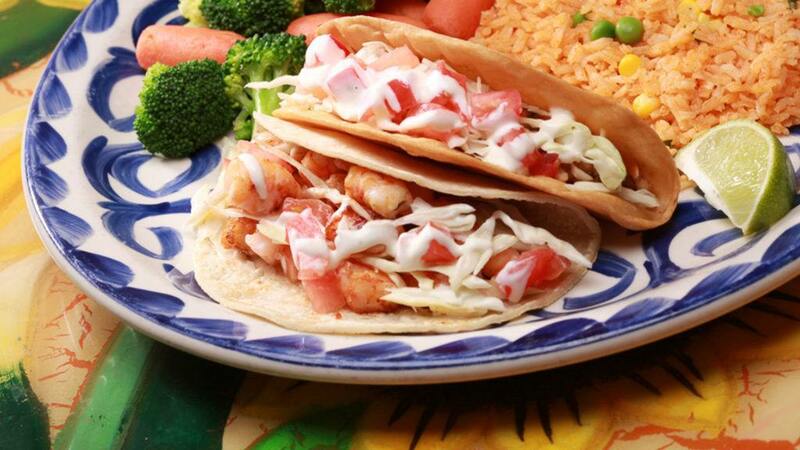 We’ve got tilapia, shrimp, bean and queso fresco, and potato tacos galore! Plus, with any two tacos, you get two sides. Choose from black beans, charro beans, vegetables, rice, or refried beans and our fresh-made pico de gallo. Try a Build-Your-Own Combo, where you can choose three or four items that fit your taste! Top it all off with your choice of delicious vegetarian side dishes. The possibilities are endless! 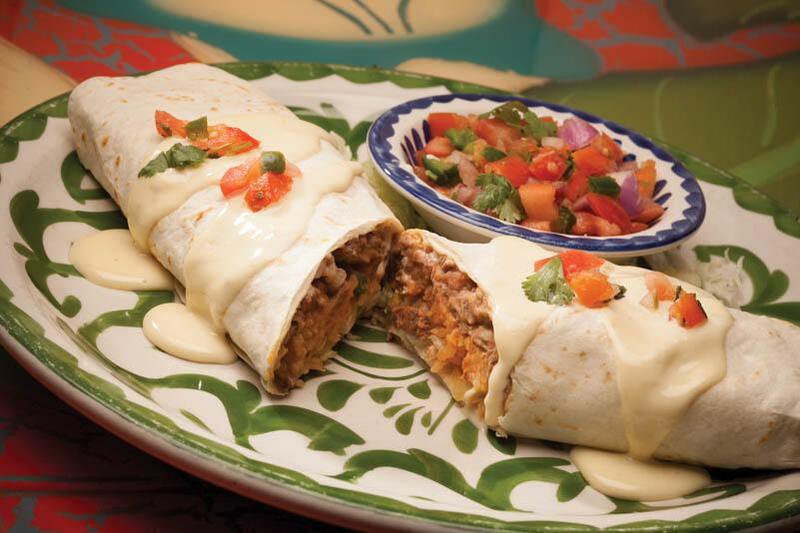 Head to La Mesa Mexican Restaurant for tasty, meatless options that are unique and truly delicious. We also have great Lent options on our Lunch Express menu! Celebrate the season all Friday long! 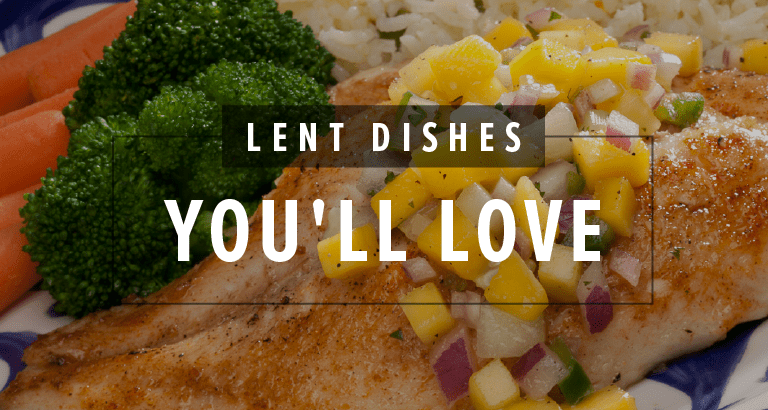 Check out our full menu to find other Lent-friendly appetizers, salads, and entrees!